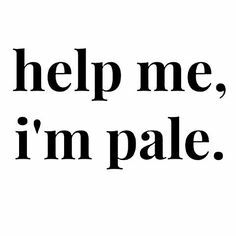 If you are anything like me, you love a good tan. And when I mean tan, I mean Ultra Dark Tan. I’m not sure where the obsession with being as tan as possible began with me, and I’m not being dramatic or anything, but life is so much better with a tan. Fact. I’m here to try out fake tan and distinguish the bad from the good, so you don’t have to (I’m OK with turning green for investigative purposes). I’ll pop in a few of my Tan Commandmants throughout this blog that will help you get that perfect, even tan. Not only is it payday today when I’m writing this blog, but I’m also writing it with extremely bronzed and beautiful hands. So I’m happy. As you’ve probably already guessed, the next product I’m reviewing is tan. Didn’t expect that, did you? It’s not just any fake tan though; it’s the new BPerfect Ultra Dark Mango Mousse. Yes, you heard it, ULTRA DARK. The tanning Gods are celebrating in their thousands (as am I). The hype around this new product launch has been fairly large as BPerfect are renowned for their false tans, their 10 Second Tan Spray in Dark Watermelon is a cult favourite. Not only did they announce a new formula in the form of a mousse, but they also announced a new colour – Ultra Dark, and the online community were sucked right in. The have their original colours available in the mousse formula too – Medium Coconut and Dark Watermelon. I was extremely keen to get my pasty, milk-bottle hands on it. I hadn’t tanned in two weeks and I was losing sight of who I was. For real. I’m a better person when I’m tanned. Tan Commandment: Have you ever noticed those tiny little holes that tan sits in after you’ve just shaved/waxed? This happens because removing hair leaves the pores wide open, and applying tan straight after makes you look like a speckled egg. Not a good look. To avoid this fake tan blunder, I like to shave a day or two before I plan on applying fake tan. This makes sure the pores are closed before product has a chance to get in them. So, as many of us do on a Thursday evening, I sat down with my smooth baby dolphin legs and exfoliated skin ready to marinate myself in fake tan. Being my apprehensive self, I had the windows wide open, scented candles lit and air freshener at the ready, to mask the usual fake tan/curry smell in my room. But to my surprise, none of that was necessary. Tan Commandment: Exfoliate. Exfoliate. Exfoliate. Give your entire body a good old scrub down using any body scrub. This will get rid of dead skin cells and give you an even base to make sure it goes on gorgeously smooth. But you also need to remember to moisturise those dry bits like your knees, elbows and feet. If you haven’t followed this commandment, don’t even THINK about reaching for that bottle! The first thing that you’ll notice about this new tan is the smell – MANGO. Honestly, it smelt better than my Yankee Candles. I’m excited that I can actually be around people and not have them ask why I stink. It almost got to the point where I wanted to close my windows to trap the smell in my room. I decided against this as I knew my body temperature would rise pretty quickly – anyone else get crazy warm after applying fake tan? I like to think that I don’t sweat, I glisten. 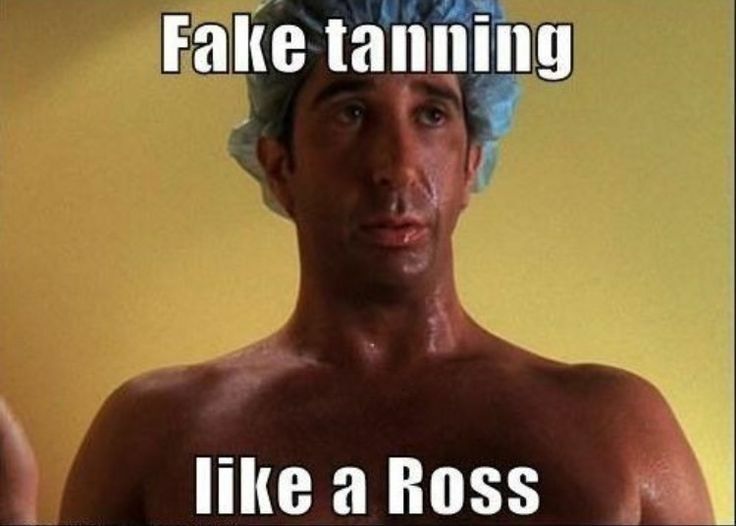 But between you and me, I really do sweat after fake tanning. It’s a mess. Anyway, first impressions were going pretty good. I’m a big fan of their original 10 Second Tan that comes in a spray-on bottle, but I have to say that the ease of application is a lot better in the mousse formula. It feels so soft on your skin and is very easy to blend in, it left me with such an even complexion and the Ultra Dark colour really is darker than their Dark Watermelon.. YAAAAAAAAAAAAY! Tan Commandment: To enhance your tan even further, apply a body shimmer over top you give you an extra, sunkissed glow. BPerfect have a multi-purpose Golden Glow Body Shimmer that you can use on your face and body. This is an image I took for comparison of my arm alongside my colleague’s who hadn’t got a chance to tan yet… Sorry gal!! Tan Commandment: I’m extremely unflexible so when my Mum isn’t on hand to apply tan to my back, I usually have to improvise and stick my mitt on a clothes hanger to try and reach those tricky areas.. And yes, I look like an absolute idiot, but it does work! FORTUNATELY, BPerfect have came out with a Back Tanning Mitt. Yes, a BACK MITT! Trust me, it’s a GAME CHANGER. You NEED this. Now I can actually use my clothes hangers, to hang clothes. There is such a trend at the moment of popular tanning brands coming out with ‘darker than dark’ fake tan and I have tried most of them because I’m a self-confessed tanaholic. But BPerfect 10 Second Tan Mousse in Ultra Dark Mango is definitely the best one that I have tried so far! Grab it now in your local Gordons Chemists in store or online here. Previous postBPerfect, LMD.. Did you Master this Palette?